Here in Charleston, SC we are in growing zone 8B, meaning it stays a little warmer here than in zones above us. Suckers. :) Take a look at the USDA Hardiness Zone Map here if you’d like more info. Our winters are usually more mild, and it’s pretty rare that we experience multiple days at freezing temps or below. Thankfully! Most succulents can survive temps down to 50 degrees, but there are a few hardy succs that can take much colder temps! I’m talking about Sempervivums or as they are commonly called, Hens + Chicks. These little toughies can take temps as low as 30 degrees. I’ve even seen them survive snow. Another fun thing about succulents is that some varieties will go dormant in winter. For us here in Charleston, that’s usually November - March. With the fluctuation in temps we get here near the ocean, and less sunlight that comes with winter our succulents just aren’t as happy outside. Here’s some of my succulents I left outside this winter. I’m a meanie. Sure they’re alive, but they ain’t happy about it. You can see water damage and rot on the leaves. This comes from rain water just sitting on the leaves. Succulents LOVE sun, they love being outside, but it’s important to be mindful that they are not sitting out in the rain too often. Succulent leaves do not absorb water like air plants. That standing water will actually start to rot your baby. 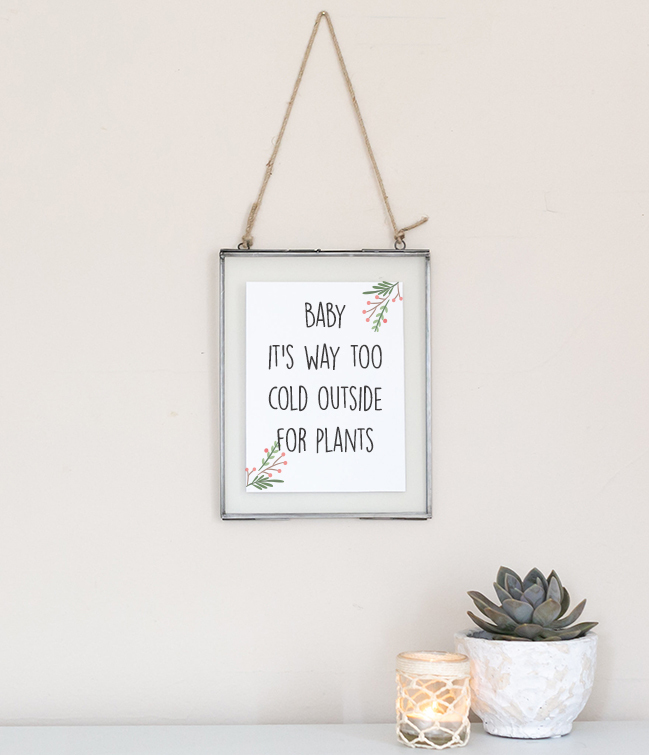 Our cold, rainy days are just not a succulent’s happy place. Another awesome thing about succulents, is that they are so resourceful and adaptive that they will go into dormancy when the growing conditions are not ideal. So it make take some time for them to adjust to our environment but once they do, they will basically turn themselves off and on according to their environment. What does this mean for us? Less work! Woo hoo! This time of year, I’m only watering my succulents about every other week to once a month. My jade plants will keep growing no matter what, they’ll start to wrinkle after about 10 days without water. One of my favorite things about that plant, it really let’s you know when it needs a drink. + Bonus Tip: Water in the morning or early afternoon so that your plants aren’t sitting in cold water over night. 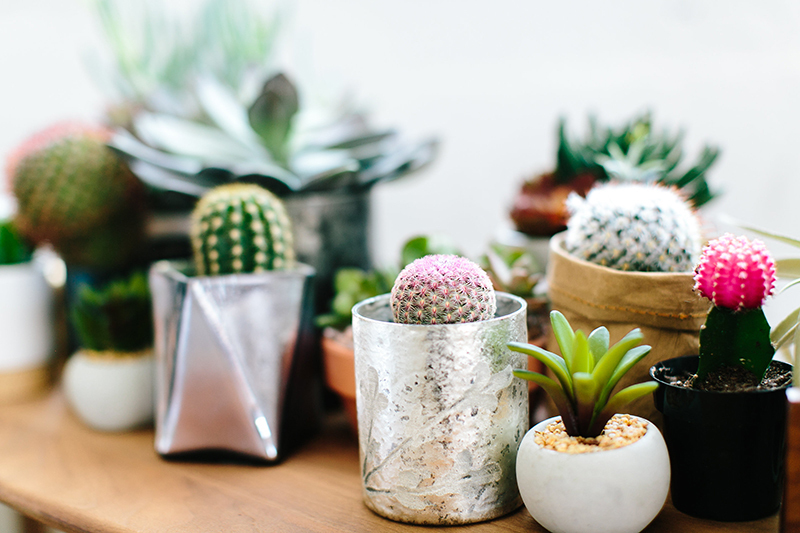 With less sunlight your succulents will inevitability start to stretch out looking for more light. Aloe varities or sempervivums will start to flatten out, exposing themselves (like creeps) trying to soak up as much sun as they can. Rotate your plants around when you water them to keep their stems strong. I let mine stretch out til about March or April. Then I start cutting them back and begin the Off With Their Heads Method to encourage new spring growth. As always, Plant Friends, If you have any questions please don’t hesitate to ask here by commenting below. Email Us. Or Slide into our DM’s on Insta or Facebook.